“We like to take opportunities throughout the year to support various non-profits in any way we can. As the school year comes into full swing, we wanted to take the opportunity to help raise awareness of bullying by partnering with a local high school, Tinley Park High School, and provide them with a number of anti-bullying posters.” said Jerry Feil, President of Graphicsland. According to www.stopbullying.gov currently between 1 in 4 and 1 in 3 students say they have been bullied at school. While studies are ongoing on how to reduce and prevent bullying, research currently shows that talking to children about bullying and encouraging them to model kindness and respect has resulted in lowered levels of bullying. The very best prevention is intervention on behalf of young people that are being bullied, but awareness is a great place to start. 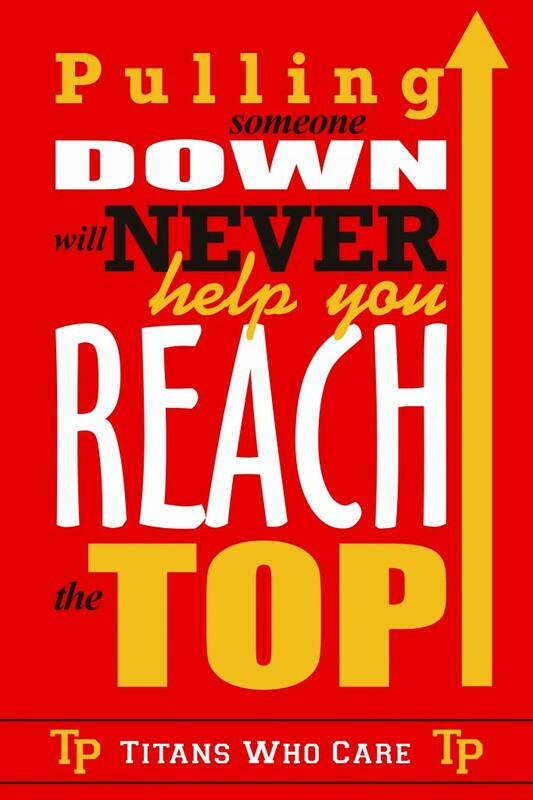 Pulling someone down will never help you reach the top. 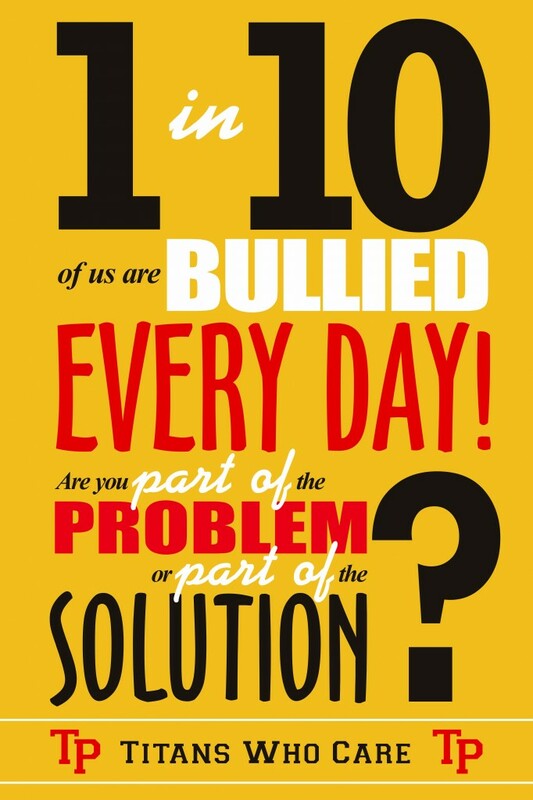 1 in 10 of us are bullied every day! Are you are part of the problem or part of the solution? 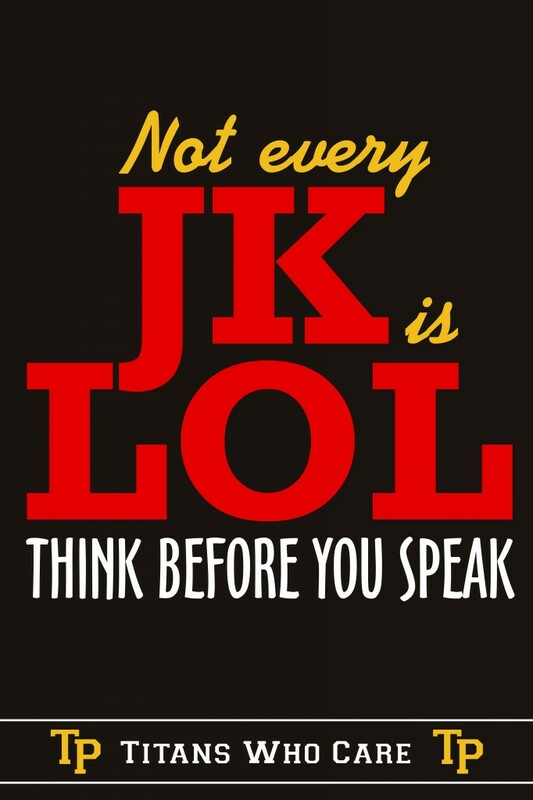 Not every JK is LOL, Think before you speak.